One of the most frequent questions we get is how do we find work. 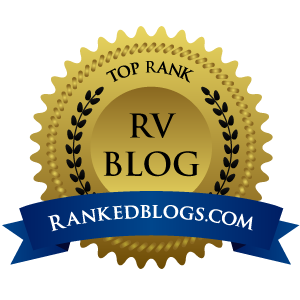 People are always surprised by the number of websites and forums out there that are tailored to RVers. Other websites aren’t necessarily RVer specific, but have short term or seasonal jobs. Most of the work we have found has been through Workers On Wheels. Bob and Coleen are full timers who practice what they preach. They write a weekly newsletter filled with links to articles about the lifestyle, including help wanted ads. I emailed Coleen one time about an article I’d read on their site. I wasn’t really expecting a reply, but much to my surprise, she responded within the day. Knowledgeable, friendly and helpful is the best way I can describe Workers On Wheels and Bob & Coleen. Another website I frequently visit is Happy Vagabonds. One of my favorite things about this site is you can do a job search by state (or Canadian Province). When looking for a winter job, I certainly don’t want to see job posts in cold climates! Happy Vagabonds also has a section dedicated to volunteer positions. Not everyone is looking for pay, some people are just happy with a beautiful place to stay for a few months. Workamper News is exactly what it sounds like. There are several levels of membership to chose from. I have to be honest, I have never gone beyond the “Intro” level. To me, with so many free sites, I just can’t justify paying to look for work. Of course there is a lot more information available with paid membership levels. Everything from job listings to an employer verification service is available for a price. Coolworks is another place to find, well, cool jobs. Most of the jobs I’ve seen on Coolworks have something to do with the hospitality industry. You can narrow your search to jobs with camping spaces provided or just look for something that interests you. They have full-time and seasonal positions. Many of the seasonal jobs are with companies who subcontract to National Parks. Want to spend the summer at the Grand Canyon? Check out this. One of the biggest things to keep in mind is your own financial situation. A lot of the jobs require a portion of your hours to cover your site/utilities. Others pay all hours worked. And still others pay nothing at all except a place to park your rig for a spell, aka volunteering. I hope you find this helpful if you’re looking for work or a place to volunteer. I will be adding a “Workamping Resource” page in the near future with links and some basic info about each site. Safe travels, wherever life’s road take you! The Wandering RVer Blog at WordPress.com.